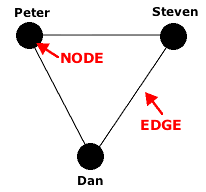 In this case the nodes are Peter, Steven and Dan and the edges are the “glue” that connect us. It seems to me that we often tend to treat nodes as more important than edges when we’re building technology tools: we’re more interested in the nouns than the verbs. I think this is especially true when it comes to web-based photo gallery systems: these are traditionally designed to be “photo-centric.” Which, on first blush, makes perfect sense; they are photo galleries after all. Look at this photo of Dan or this photo of me. The gallery systems these photos find themselves in (the silverorange Photo Gallery System and the open source Gallery system, respectively) treat the photo as the most important aspect of their operation. While both systems have a basic taxonomy or hierarchy into which the photos can be categorized, this is a secondary aspect of their operation. And in neither case does browsing the gallery by following the taxonomy offer much additional insight or depth to the experience. These gallery systems, in other words, emphasize the node over the edge, and in doing so they assume that what we want to do when we use a web-based gallery is to look at photos, in much the same way we would using a physical photo album. Over the past few weeks I’ve started to use Flickr as a gallery system, and I’m struck by the degree to which in that system edges are equal to or more important than nodes. Yes Flickr is still a photo gallery, but with tags and groups and contacts and all of the other edge-centric functionality built into the application, in Flickr its the relationships between photos (and, to a lesser extent, the relationships between photographers) as much as the photos themselves that are important. Part of my resistance to using Flickr to this point was that I was uncomfortable with the notion of “my stuff on somebody else’s servers.” After chatting about Flickr with Jacob Friis Larsen at reboot, though, I realized this stubbornness was getting in the way letting my photo-flow become part of a community photo-flow and, with that, a system where it’s not so much the photos that are interesting, but everything that surrounds them. So this morning I took this photo of a crane. It’s a crappy photo. I took it with the crappy camera on my T610. But that doesn’t matter. When the photo rides into the flow on the backs of my blog post and this Flickr tag and this Technorati tag it’s not really the photo that’s important. It’s the moment in time. It’s the what of the photo not the how. It’s the digital idea forest that builds up around the photo. 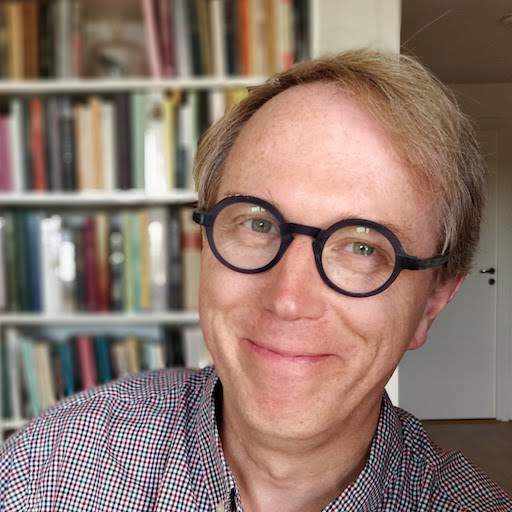 The photo becomes part of the web, part of the tagged miscellany. It used to be just a photo. A simple isolated node. Now it’s got edges. And that seems much, much more interesting. Written June 25, 2005 at 1:10 p.m. This is interesting…I wonder what photographers would make of this. You could argue all those technological bells and whistles give you “value-added” for the photo, or you could argue that they are support systems that facilitate and perhaps even encourage mediocre photography. Shouldn’t a great photograph negate the need for description, and convey the how and the why and the context all at once? The same could be said for blogs.